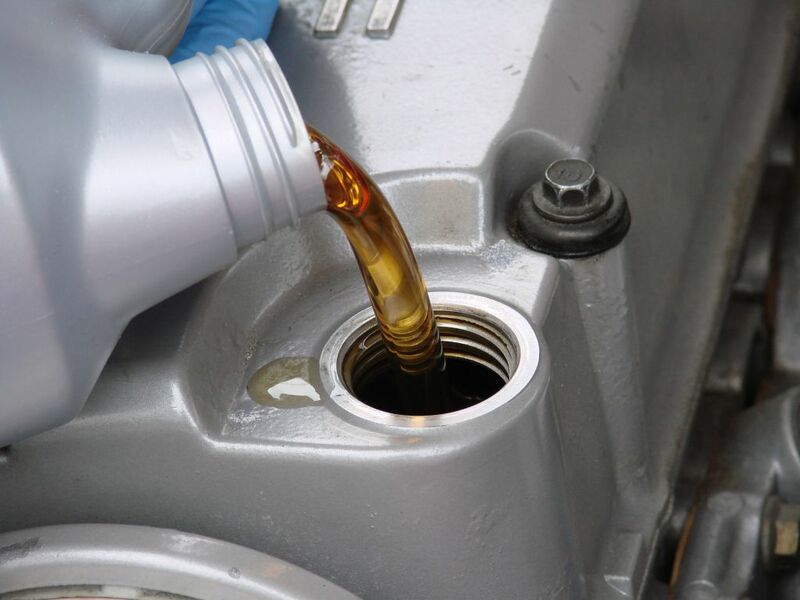 Engine oil serves as a lubricant for the various moving parts like the crank and cam shafts etc. Changing engine oil periodically ensures longevity of the engine and slows down the wear and tear of the mechanical parts inside the engine. Before we begin, it is necessary that the engine is cooled down or the car parked forat least 45mins. 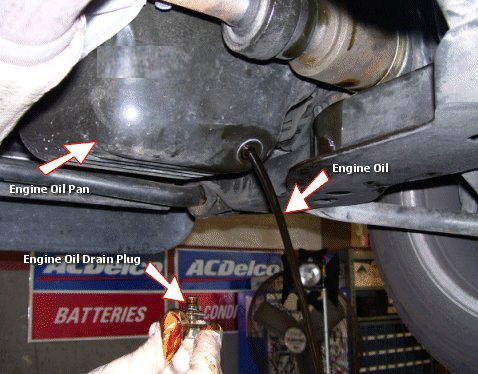 A cool engine is easier to work on and also when the engine is warm or was running, the engine oil is sprayed throughout the engine, therefore we must give it time to settle down to the engine oil pan where we can check the engine oil quantity by pulling out the engine oil dip stick. After the engine cooled down, pull out the engine oil dip stick; rub it off with a clean rag. Dip the dip stick again,then pull out it out. There are two markers, one is Low, and the other is full. (In some cars there are two dots, the one closer to the tip is the low level and the other is Full) .For a cool engine the engine oil should be closer to the Full mark. 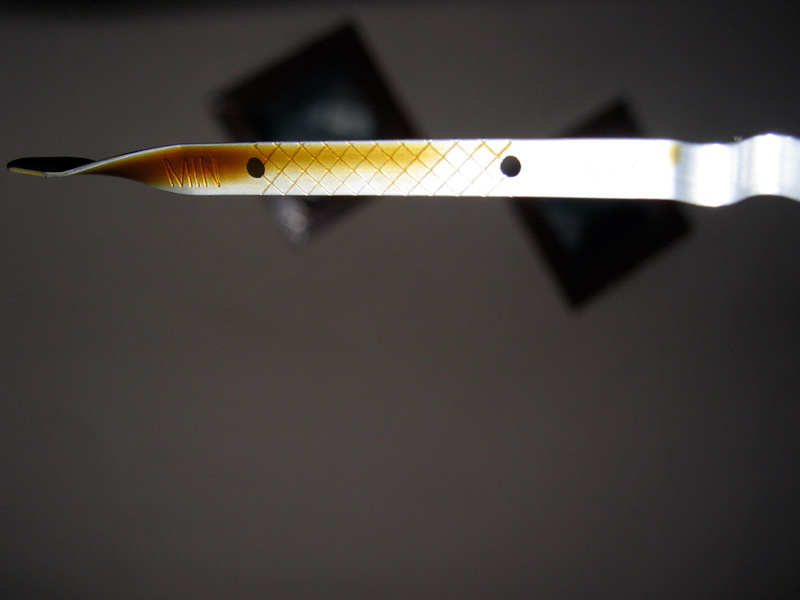 The picture below shows and ideal engine oil level on a dip stick. Rub the engine oil on your fingertips, if the color is very dark or if it the viscosity seems too slippery then it time for an oil change! Jack up the car and slide underneath to find the engine oil pan and the drain nut bolt. Remove the drain nut bolt and slide a tray to collect the drained engine oil. Then screw back the bolt after all the engine oil has been drained out. Remove the engine oil filter with the filter removal tool and fix the new engine oil filter in its place. Open the engine oil cap and pour new engine oil slowly. Pour as much as the manufacturer recommends. Screw back the engine oil cap; check if everything is bolted on. After 10 mins , pull out the dip stick, rub again, put it back in and pull it out again. 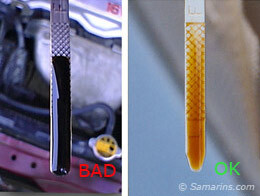 Check if the engine oil level is correct. Start the car and idle for 5 mins and you are done ! Disclaimer: I am not responsible for any damage to your car or any personal injury that would or might occur due to the process. DIY is done at your own personal risk.